Situated within the Palais de Tokyo, Monsieur Ble has an unparalleled vantage point of the Eiffel Tower and the Seine. I first visited this beautiful establishment in the summer of 2015 while I was in Paris for the Paris Air Show. The restaurant came highly recommended and we made reservations 3 days in advance for a table on the bustling outdoor terrace. This September, after Maison et Objet had wrapped up, two of our close family friends joined us in Paris. One morning, after a heavy breakfast, the four of us decided to walk from Saint Germain to Monsieur Bleu. The 5 kilometer walk should have taken us about an hour but we clocked in at 2 hours instead. Walking through Jardin des Tuileries, the culprits were the beautiful flowers that forced us to lower our pace and enjoy the exceptional landscaping. By the time we made it to lunch, we had worked up an appetite. The restaurant was completely full indoors since the 600 square meter terrace had been closed (unseasonal cold weather!). Joseph Dirand is the architect behind the stunning interior of the restaurant and Benjamin Masson is the Chef behind the exceptional food. 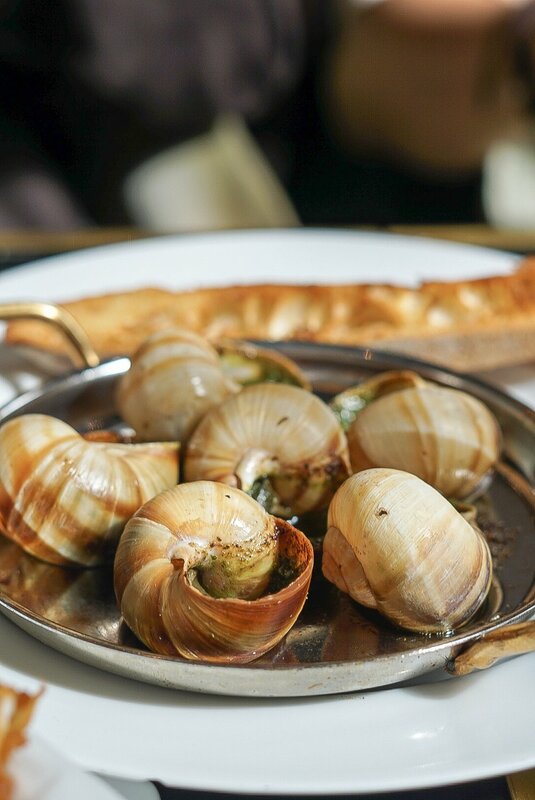 Chef Benjamin Masson's delicious menu is seasonal to keep the food fresh and relevant. Duck a l'orange. A dish that was popular in the 1960's made even more accessible by Julia Child's recipe. Joseph Dirand's decor of monochrome with moss green and bold gold. This is a very chic but welcoming restaurant. 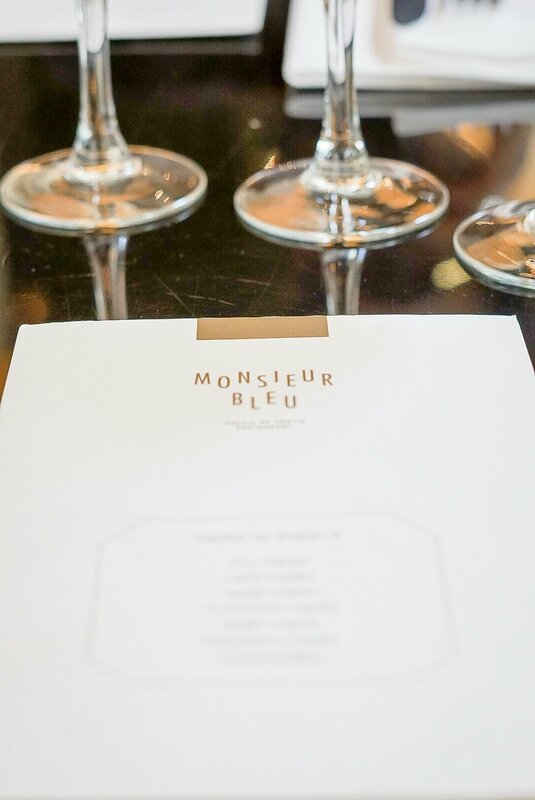 If you visit Monsieur Bleu, please do not skip dessert !